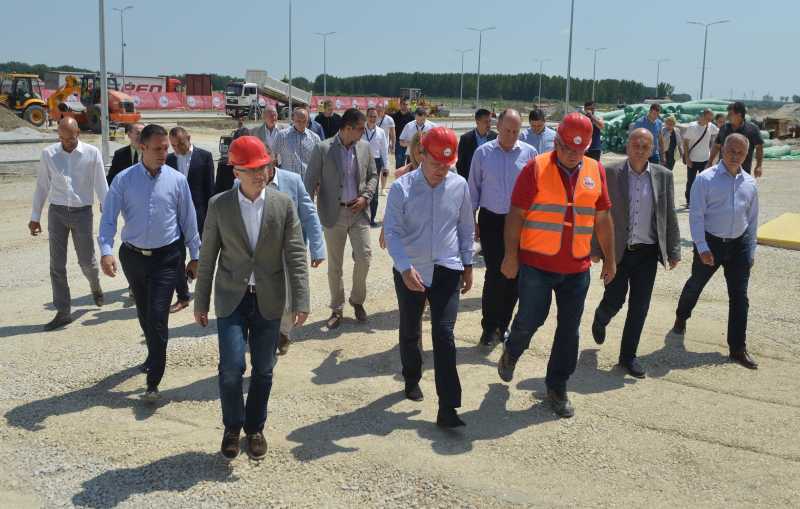 The Mayor of Novi Sad, Miloš Vučević and the President of the Government of Vojvodina, Igor Mirović, have visited the site in the Novi Sad Industrial Zone “North 4” where the works on the construction of infrastructure are underway. On that occasion, they have placed a time capsule at the building and put a message written at the spot in it and then each of them inserted a coin for good luck. Assembly dated December 2015, an agreement was signed with the Company Lear on the development of the plot of eight hectares and the construction of the production hall. 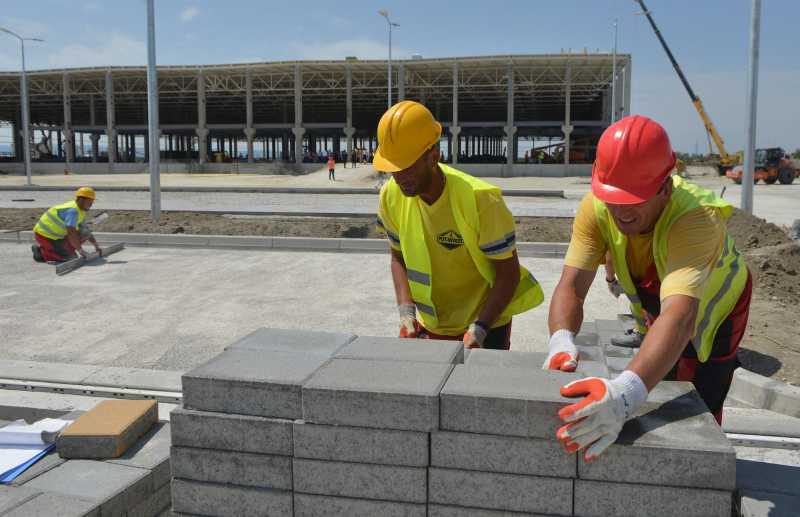 - We have witnessed that the project of building a new factory in Novi Sad is implemented successfully and this includes not only the construction of the production hall but also communal equipping of this industrial zone along the Highway. 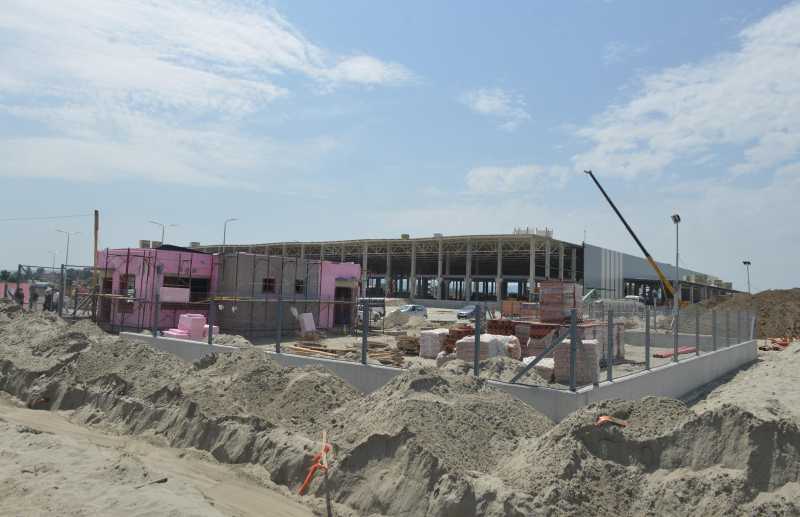 This is certainly one of the largest and most concrete investments in the city that awakens optimism and soon, we are going to have here a magnificent hall in which several thousand people will go to work every day. 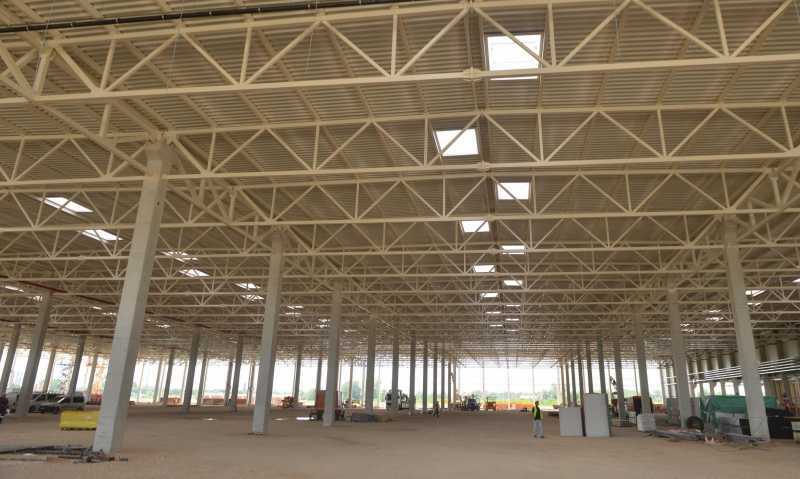 In addition to the construction of this plant, which has already been leased for several years by the Company Lear, we will automatically construct infrastructure on the adjacent lot of six hectares that will be immediately offered to new investors. Also, together with the Republic and the Province we are ready to construct infrastructure on the remaining 30 hectares of free land, that is, to complete the Work Zone “North 4”. 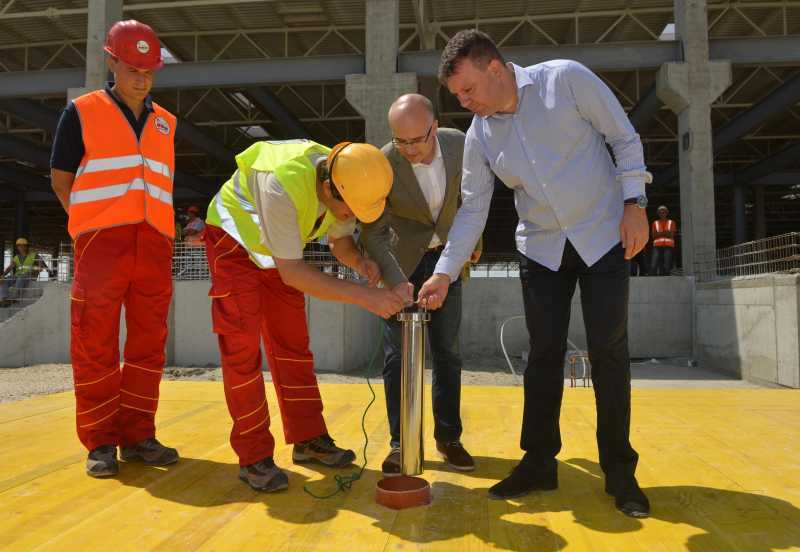 My message, written on the paper and inserted in the so-called time capsule today is my desire that factories in Novi Sad are opened rather than closed - said the Mayor, Miloš Vučević, and added that the project managers of the Company Lear expressed their satisfaction during the site visit because the City adhered to the agreed schedule of works and deadlines. 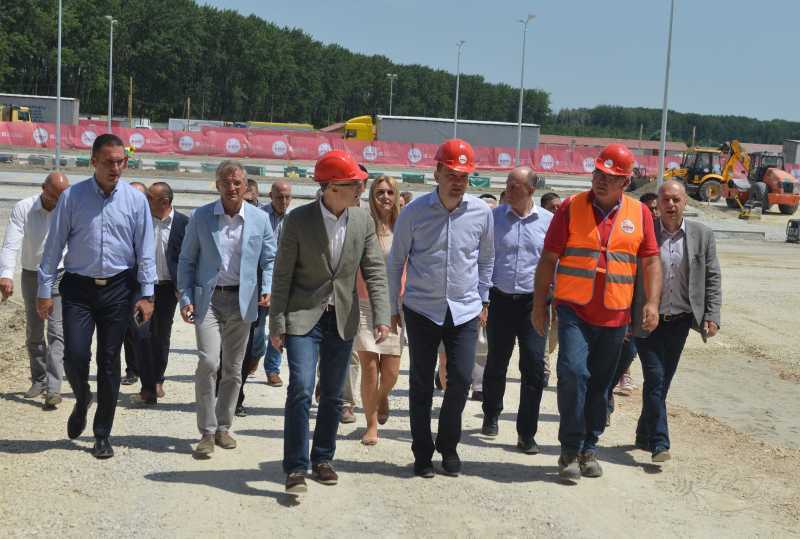 The President of the Government of Vojvodina, Igor Mirović, expressed his satisfaction for being for the first time at the site of this big industrial complex, which did not mean only a production hall to be used by the company Lear but that would become an important industrial zone in that part of town. - I believe that our new policy of getting together around projects, that is, the joint work of the Government of the Republic of Serbia, the Provincial Government and the City of Novi Sad, will be continued with the construction of infrastructure for additional 30 hectares of the industrial zone, which represents an opportunity for the development of Novi Sad. This is something that we are going to work on in the next years because one of the priorities of the economic development of the Autonomous Province of Vojvodina is to develop primarily work, industrial, agro-industrial and business zone and that companies such as Lear come in large numbers to all municipalities in Vojvodina - said Igor Mirović and emphasised that in his message, put in the time capsule, he wrote down that the construction of the Zone “North 4” was the best picture of accelerated economic development of the city. In the name and on behalf of the City, the Public Enterprise for City Construction and Development is authorised to be the investor of the hall consisting of the ground floor and the ground floor plus one floor in the total area of 28,500 m² and intended for manufacturing activities.